In terms of your long-term success, one of the most valuable resources that you have available to you is and will always be your brand. It's something that lives on long after a purchase is made. It's the narrative and the set of strong, relatable values that are at the heart of your business. 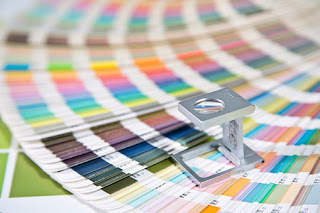 Additional studies have shown that the careful use of color can increase brand recognition by up to eighty percent, which, in turn, goes a long way towards increasing consumer confidence at the same time. Yellow is often associated with optimism and youthful enthusiasm. This is why it's often used to grab the attention of people like window shoppers. Green is normally associated with wealth - which makes perfect sense because money is green. It also happens to be the easiest color for the human eyes to process, which is why green is often used to underline important information in marketing copy. To that end, it's important to use different colors depending on exactly what it is you're trying to accomplish. Are you trying to highlight an upcoming clearance sale and want to create a sense of urgency? Make sure those fliers and posters have as much red on them as possible. Are you trying to attract the attention of a more sophisticated level of clientele, or do you want to positively influence the overall impression that people get when they see your products? Try using as much black as you can. Color is a powerful tool when used correctly, but it's important to remember that it is just one of many. But, provided your use of color matches up with both your audience and your long-term objectives, you'll find that it can be a terrific way to put your campaigns over the top and start generating the types of results you deserve.